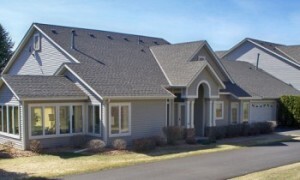 JG Hause Construction has installed vinyl siding on thousands of homes. Because of its cost, durability, and ease of installation, vinyl siding is actually the most installed siding type in the U.S. Although installing vinyl siding is not very labor intensive, every residential home is different and can provide its own set of challenges. JG Hause has an arsenal of strategies for taking on virtually any homes unique situation.